The Stranger Things obsession is REAL in my household. 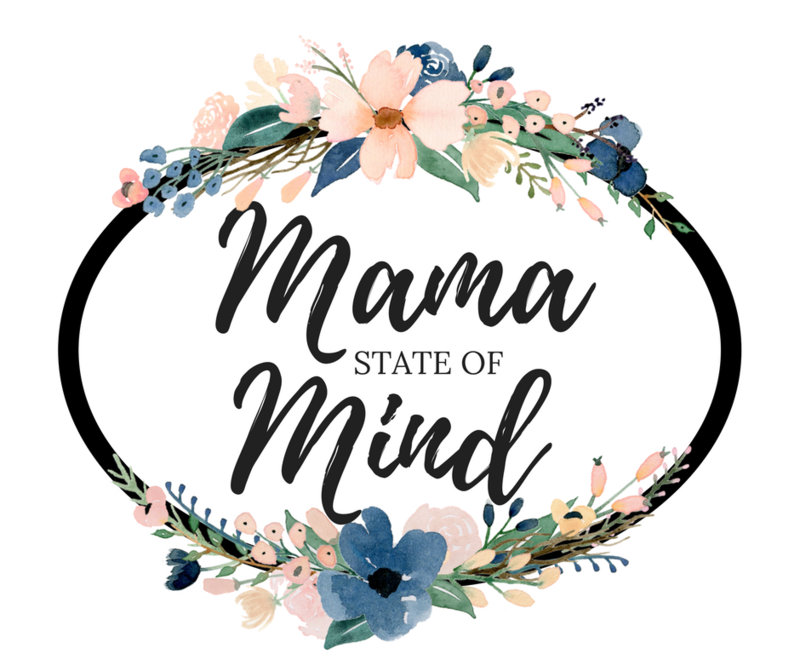 At first, only my husband and I watched it because we felt that our toddler would be too scared of the monsters. But one night, she joined us for an episode. To our surprise, she wasn’t scared at all. In fact, watching that episode made her love everything about the show. 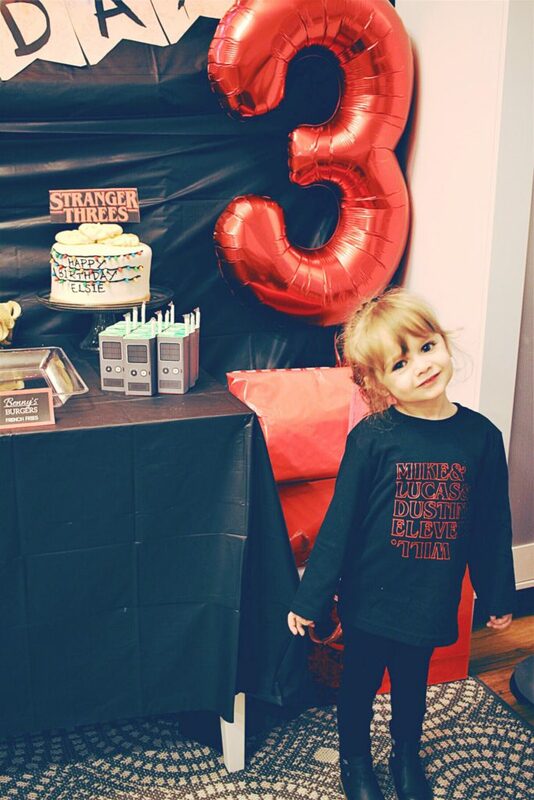 Now, she’s always asking to watch Stranger Things and loves to talk about the characters in the show. 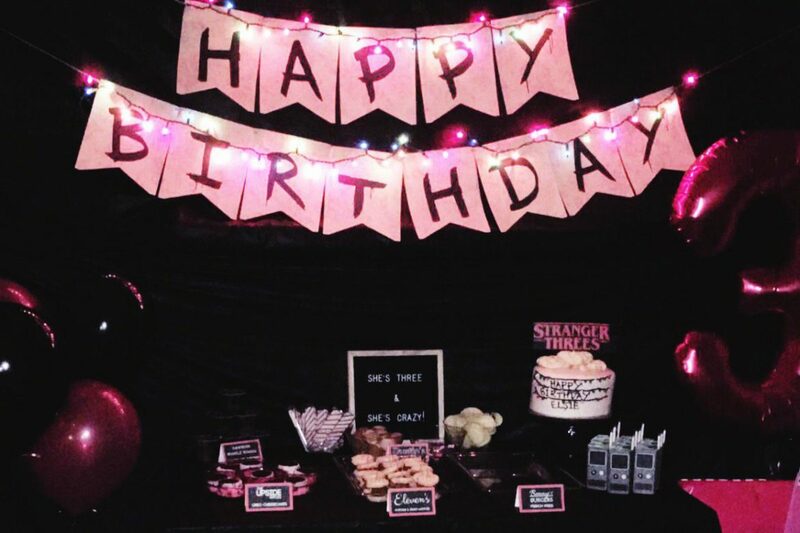 So, when she asked for a Stranger Things themed birthday party, I wasn’t the least bit surprised. 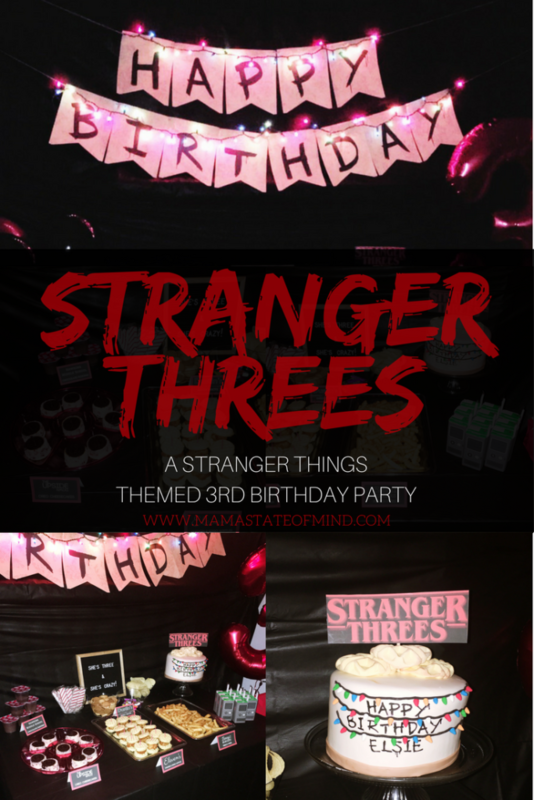 The theme was “Stranger Threes” (since she was turning 3) and the party was a huge hit with all who attended! 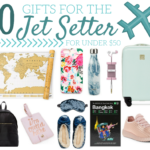 *Please excuse the photo quality. 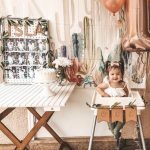 Her party was at night, so the lighting wasn’t very good! 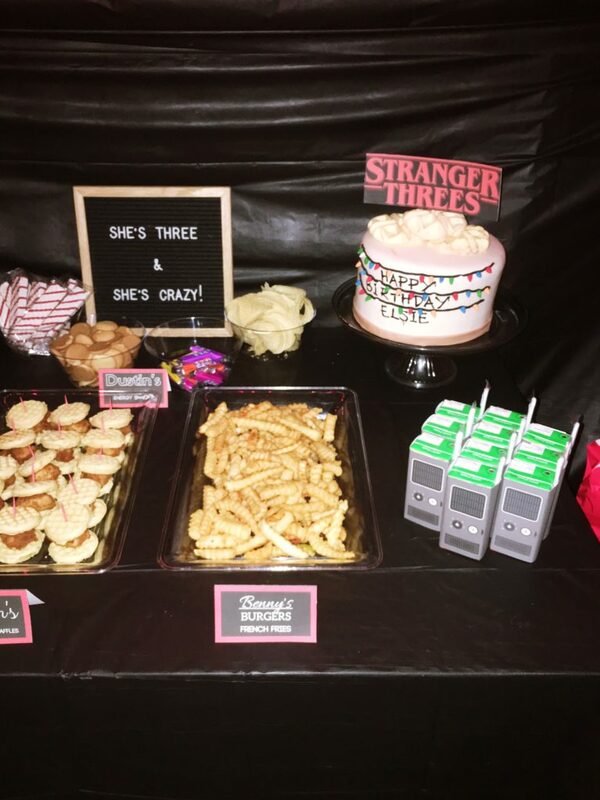 The food table was full of fun references from the show. 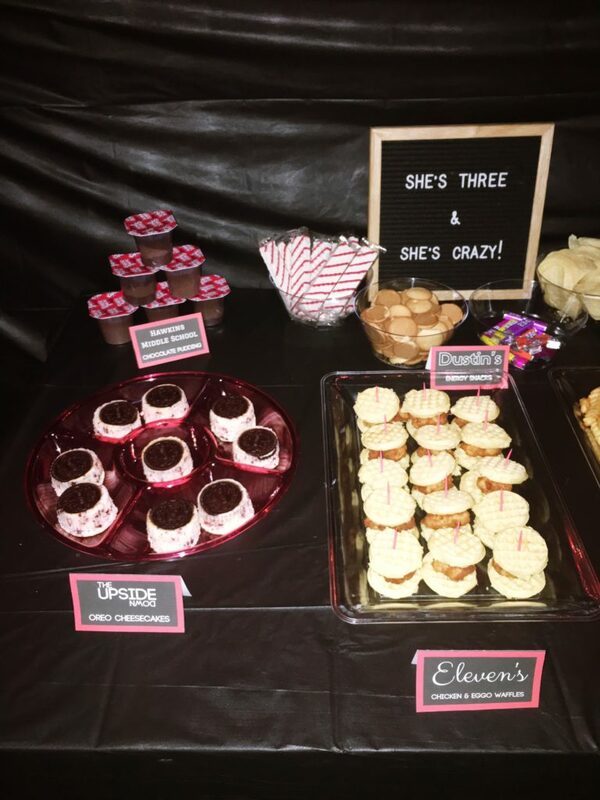 I got inspiration for the food (and really the entire party itself) from an amazing Stranger Things party featured on jolly&happy.com! Eleven’s Chicken & Waffles – I knew I wanted to incorporate waffles into the menu, but waffles alone didn’t feel like party food. Instead, I got a party platter of chicken nuggets from Chick-Fil-A and some Eggo Mini Waffles and made “Eleven’s Chicken & Waffles”. Benny’s Burgers French Fries – One of my favorite scenes in season one is when Eleven sneaks into Benny’s Burgers and stuffs her mouth with french fries. So I made crinkle cut fries for the party. Walkie Talkie Juice Boxes – Walkie Talkies are used constantly in the series, so I bought this printable download from Etsy and put the image on juice boxes. Everyone loved them! Hawkins Middle School Chocolate Pudding – According to Dustin, Hawkins Middle School has a mean lunch lady who hoards chocolate pudding. I made sure to treat our guests to as much chocolate pudding as they’d like. Dustin’s Energy Snacks – In an episode from season one, the kids are preparing to go out and find Will. Unlike the other boys, who gathered weapons and such, Dustin stocked up on snacks. 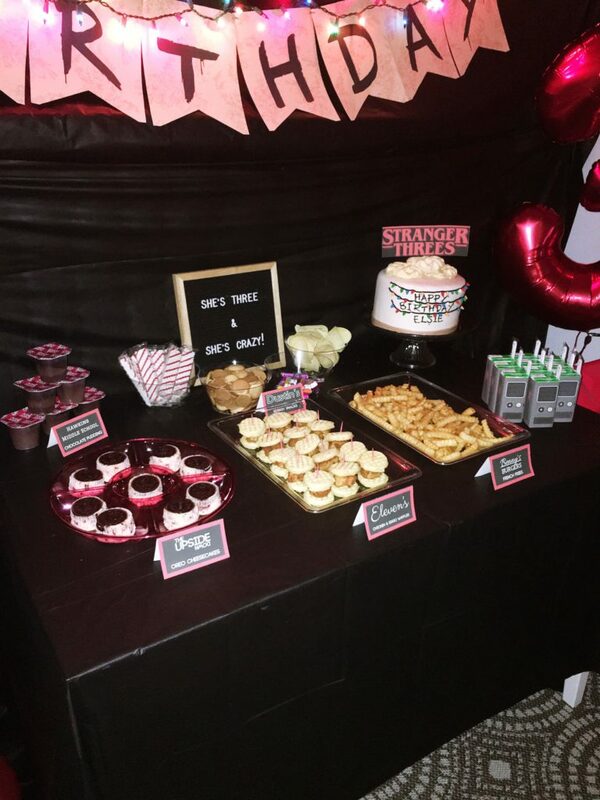 Among them were Nutty Bars, Vanilla Wafers, Pez, and Pringles, all of which I included in the party menu. The Upside Down Oreo Cheesecakes – It took me awhile to find a food to connect to the Upside Down, but these Oreo Cheesecakes were the perfect fit! 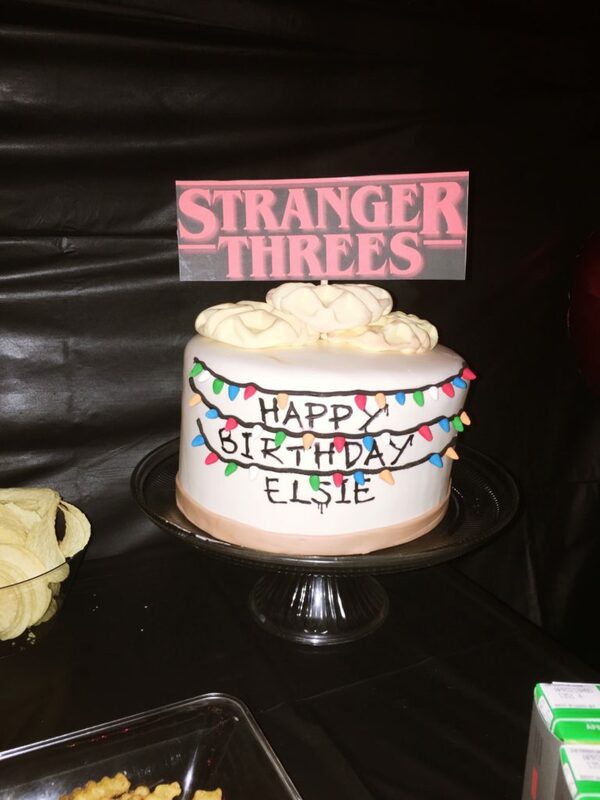 Elsie’s birthday cake was probably my favorite part of the entire party! 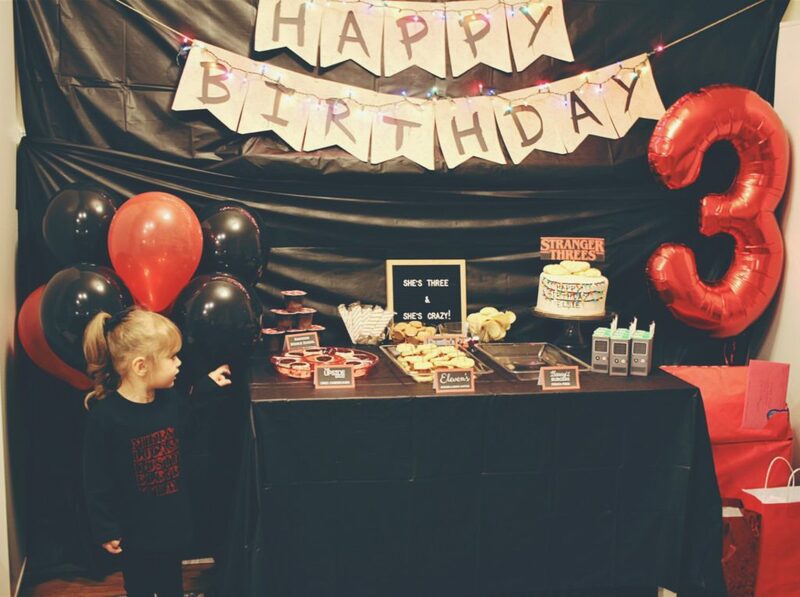 The birthday girl rocked this shirt from Etsy and spent the night naming off the characters to the party guests. 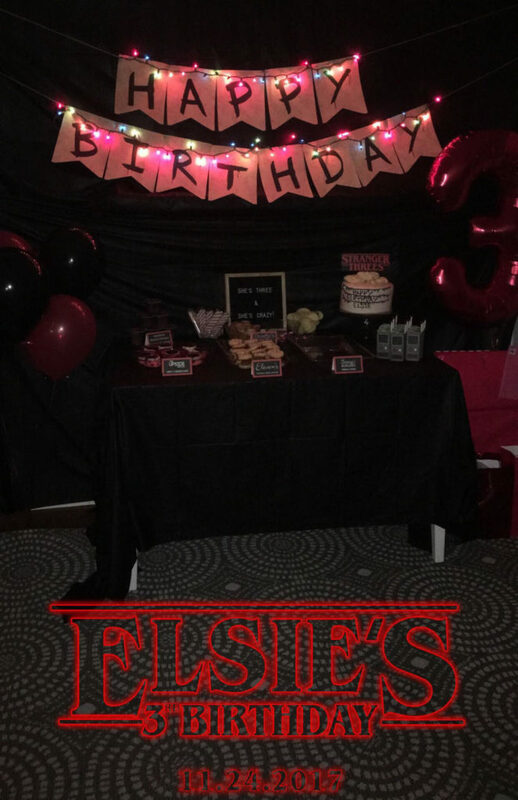 The final touch was a custom Snapchat Geofilter that guests could use during her party. 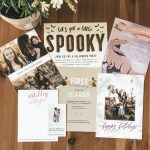 This party was a blast to plan and throw. 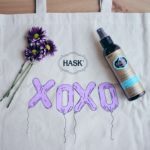 Every little detail just made the party that much more amazing. I can’t wait to see what theme she throws at me next year! 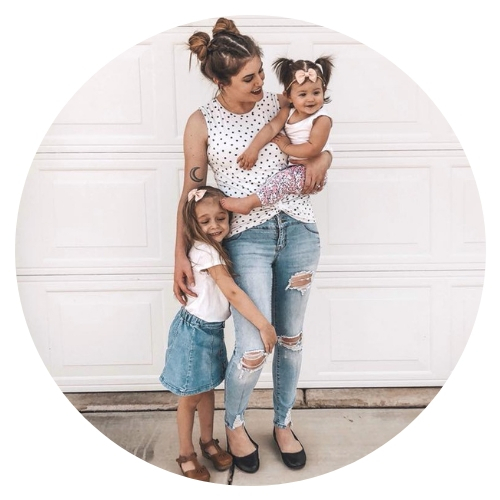 Now this is really cute. I’m obsessed with Stranger Things also. The concept and decorations were really cute. 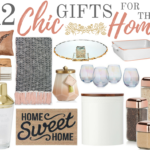 we love everything about the show!